Acting Crazy Life In America explores television, radio, and the internet. It looks at our silly government, our touchy, feely cell phone, funny, foolish, fades, internet dating, and being American. 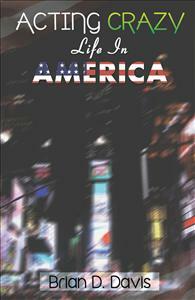 Acting Crazy Life In America explores how our lives are influenced by television, radio, and the all knowing internet. Its about how we’re manipulated by silly advertising. It looks at our love-hate relationship with out walkie, talkie, touchy, feely, cell-phone that we love, hate, and spend more time with than anyone or anything else. Its about our silly government, having to push 1 for English, pursuing funny, foolish fades, and our silly society. Acting Crazy Life In America is about being an American in this crazy place we all call home, its about being an American.